Download one of the most popular app games in the history of apps. 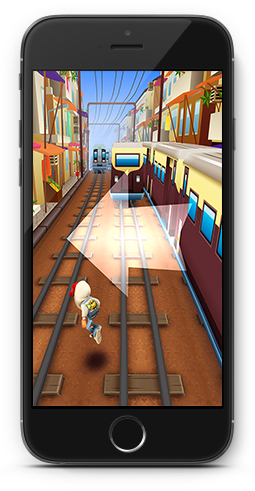 Subway surfer is free to download here. 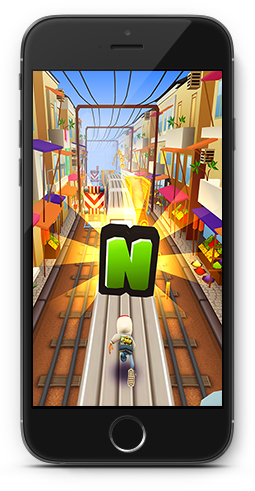 The very popular game Subway Surfers brings you back on track. Literally. It has been downloaded more than a billion times. 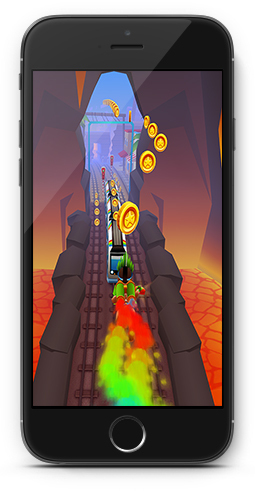 In the game, you are running from a policeman along the train tracks and jump over obstacles while collecting coins and powerups. The key is to stay alive without getting caught. Therefore, you must dodge all the oncoming trains and if possible jump on top of them to avoid being caught by the police or being run over. At first you control a character named Jake and the further along you get in the game the more characters you can unlock. You also gain powerups along the way and you can save up to buy more powerups along the way. Some of the cool powerups you can get is big shoes to jump higher and farther, a giant magnet to collect all the coins you get past and a jetpack so you can fly along the wires with the speed of lightning and collect lots of coins. There is however a limit to how long these powerups works, so get ready to swipe again when you land. 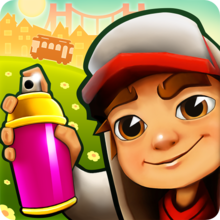 Find Subway Surfers, mark it and choose "Uninstall"
Should Subway Surfers has been damaged or corrupted and thereby difficult to remove we can recommend you finding help to uninstall it here.